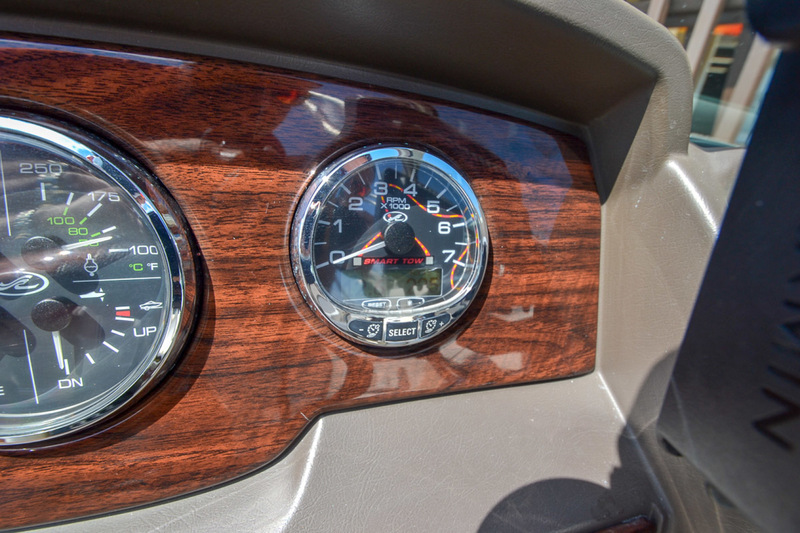 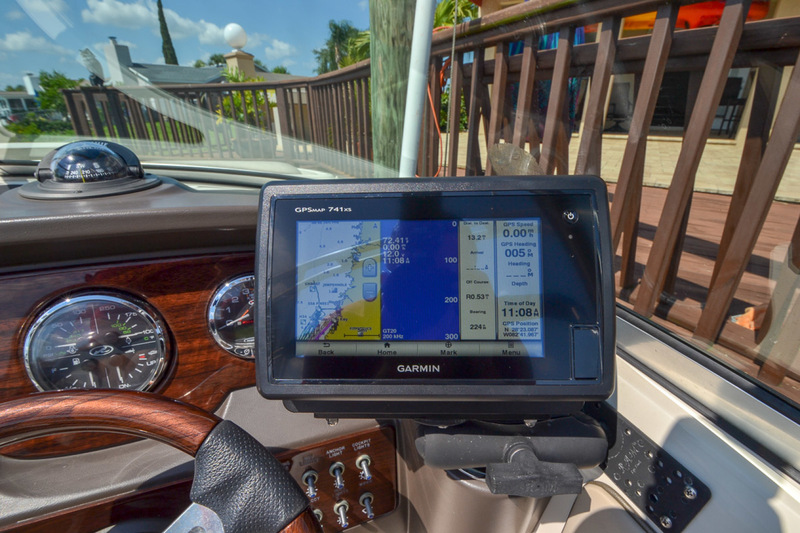 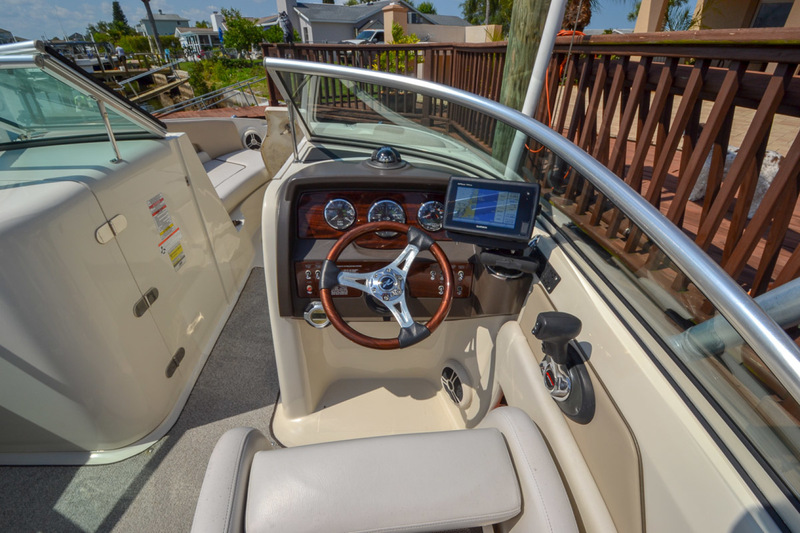 Among the many reasons why Sea Ray practically owns the market for Deck Boats & Bowriders, innovative styling probably ranks at the top of the list. Indeed, the compelling lines of the Sea Ray 230 SunDeck are as good as it gets in the run about. 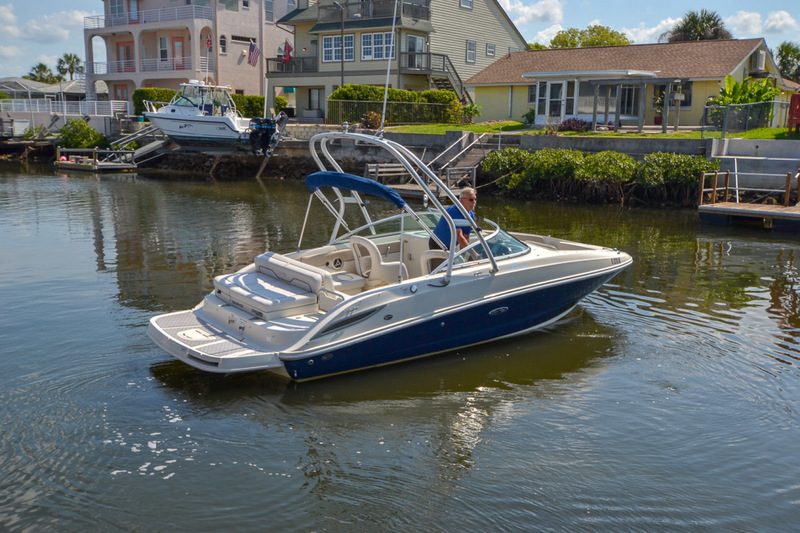 Unlike its competitors, the 230 SunDeck rides on a deep-V hull with moderate beam and a solid fiberglass bottom. 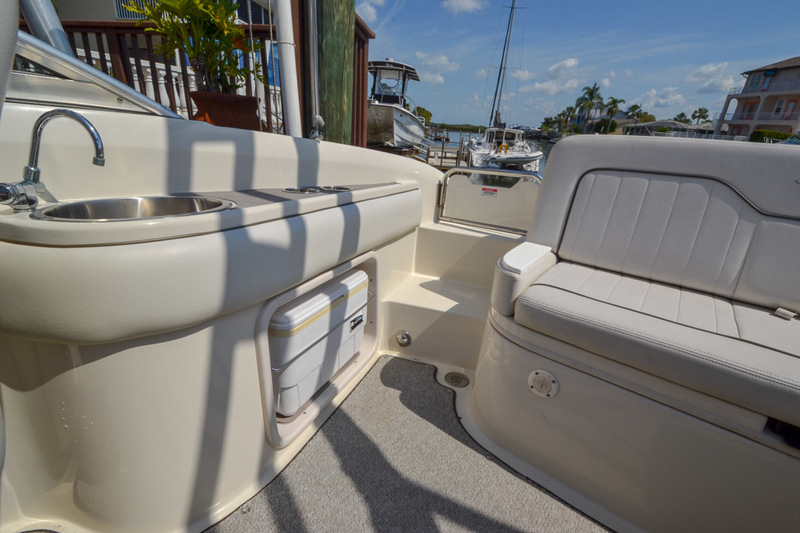 Her spacious cockpit features dual air-ride captains chairs and L-shape lounger, a wet bar to starboard and a cockpit table. 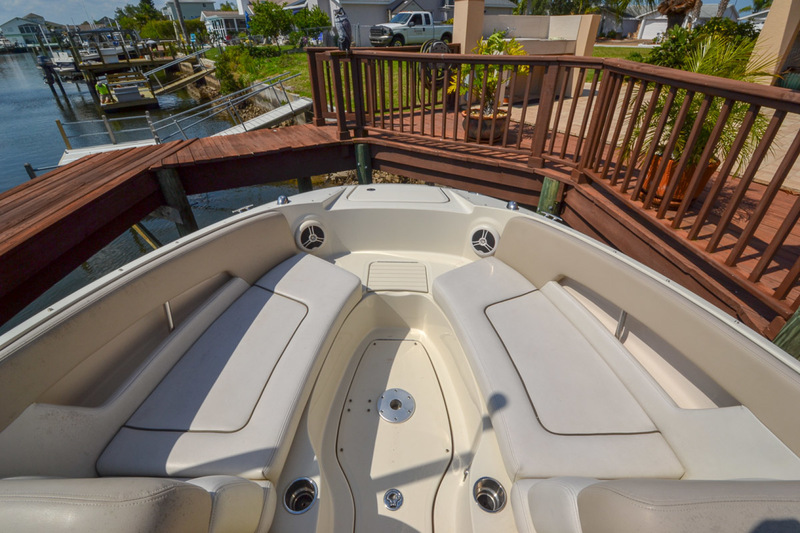 A spacious extended swim platform with a 3-step swim ladder makes enjoying the local spoil islands with family and friends a breeze. 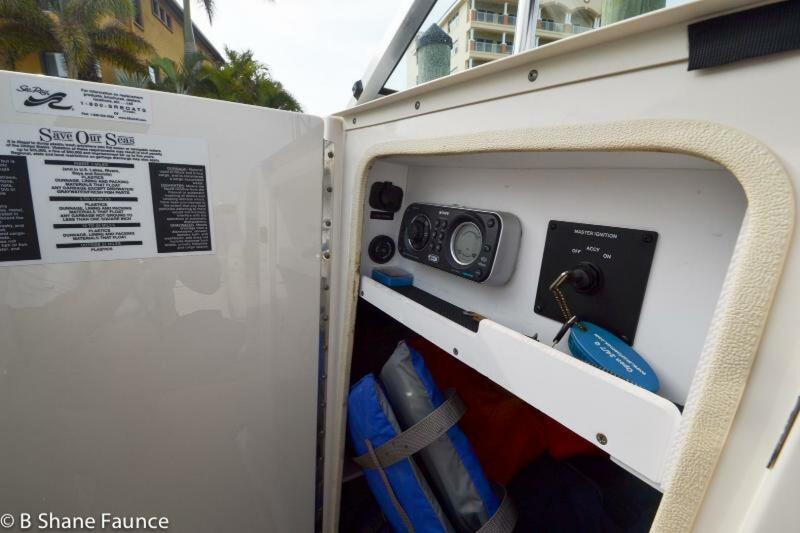 A gas-assisted engine hatch provides easy access to the engine room. 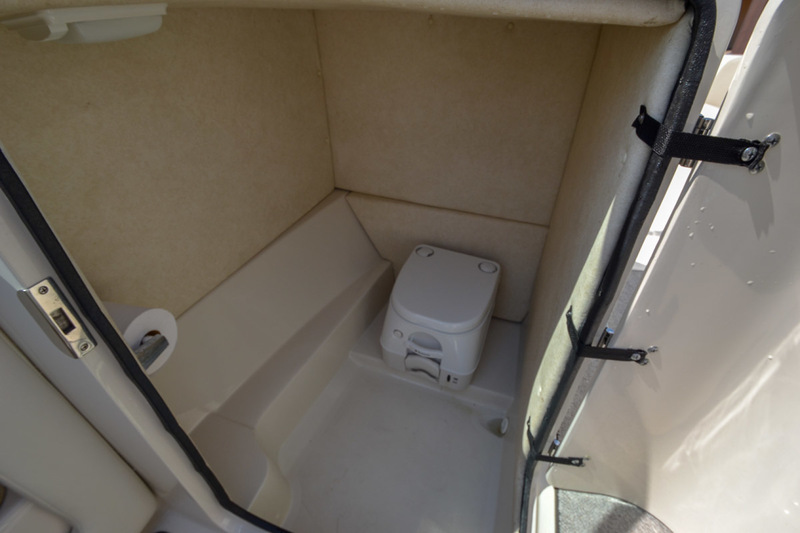 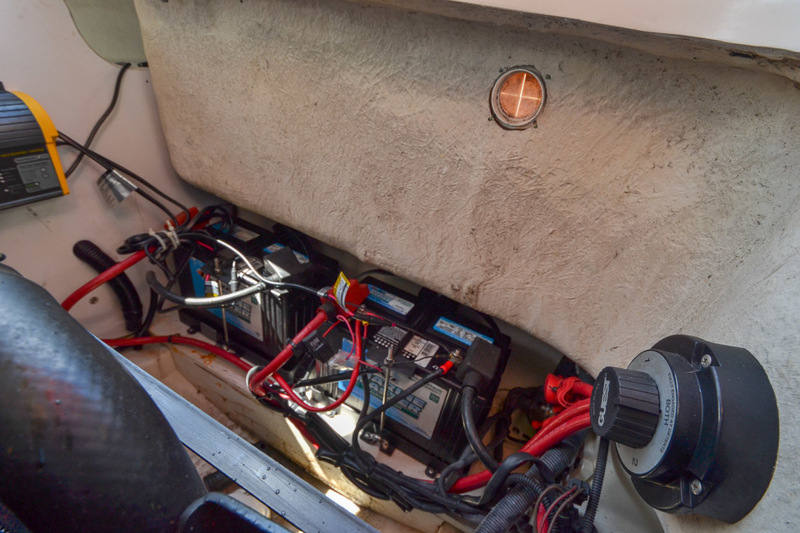 Below decks there are two centerline storage compartments for water sports or camping gear. 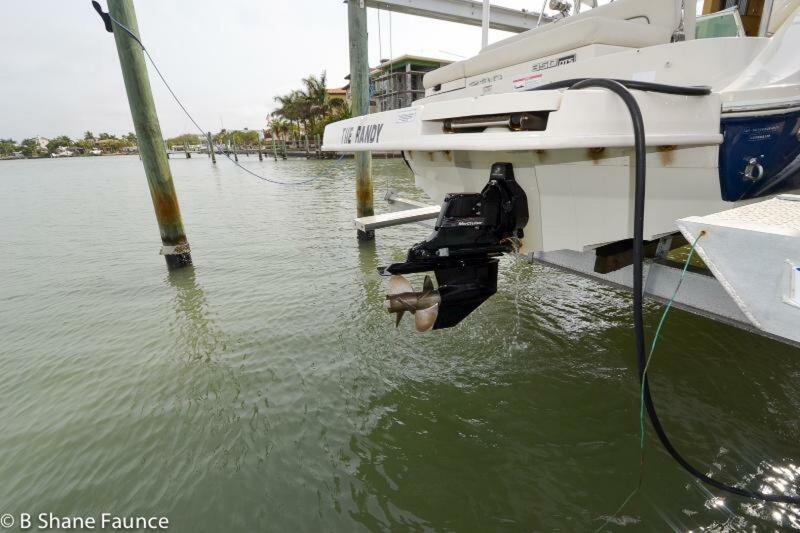 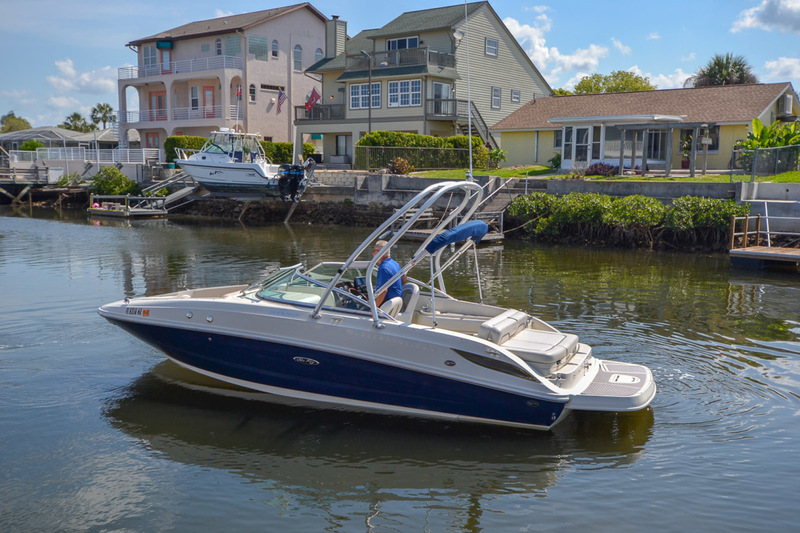 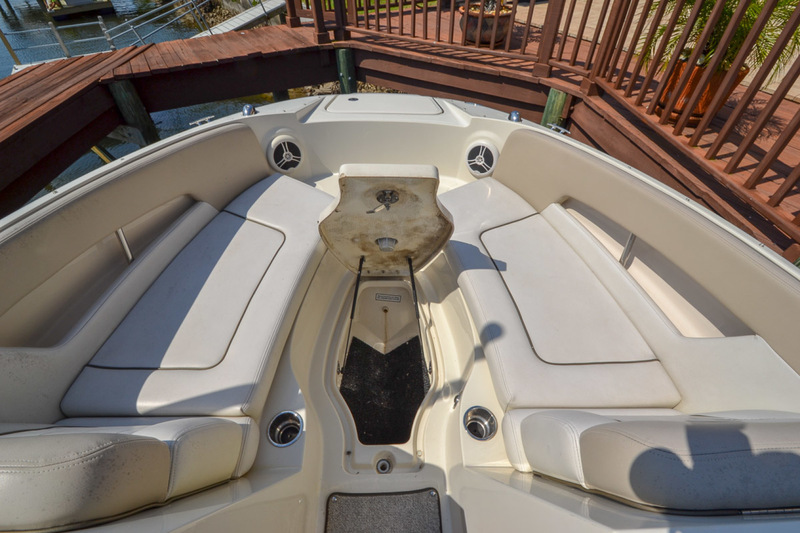 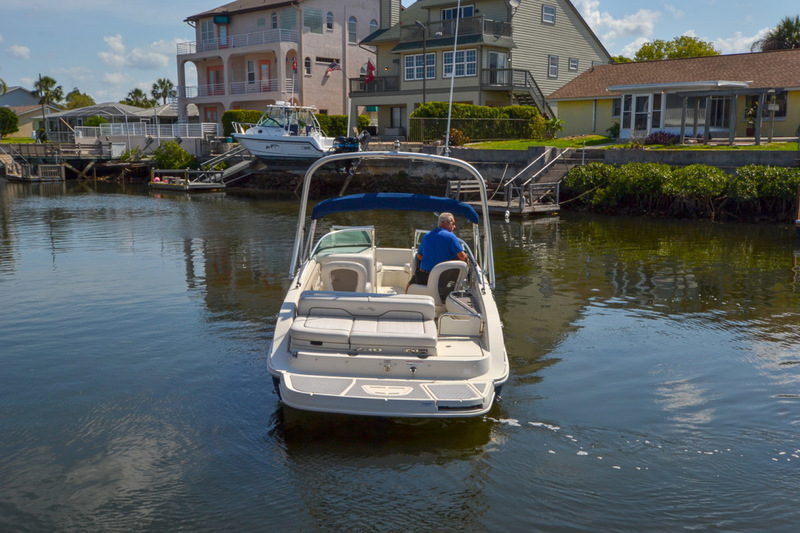 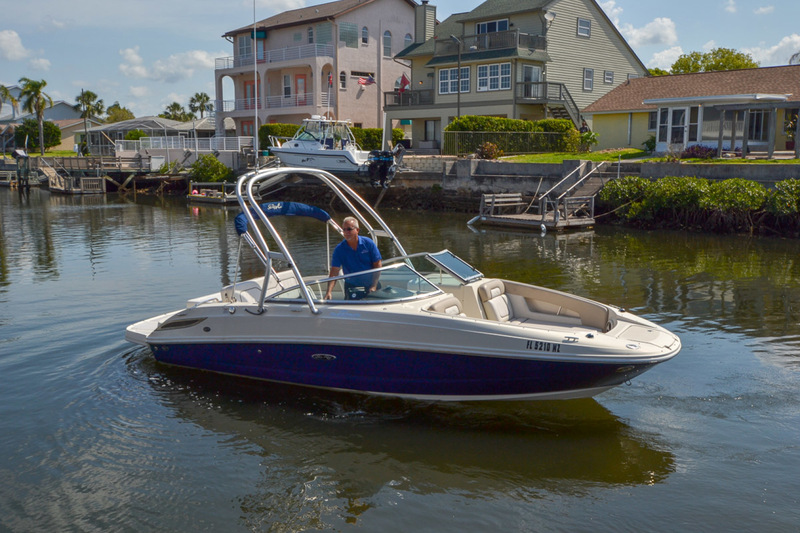 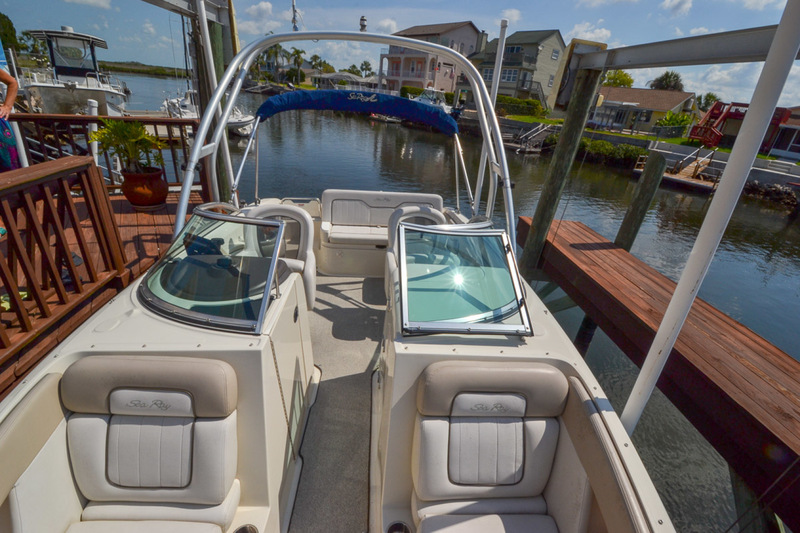 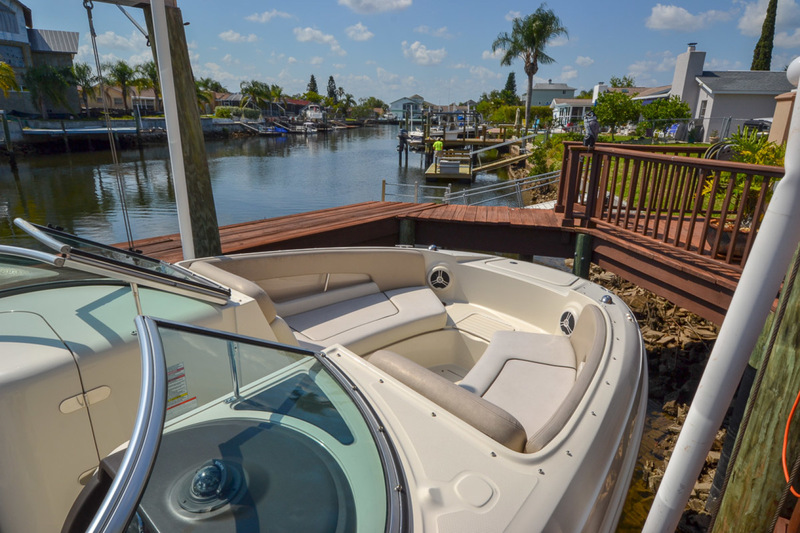 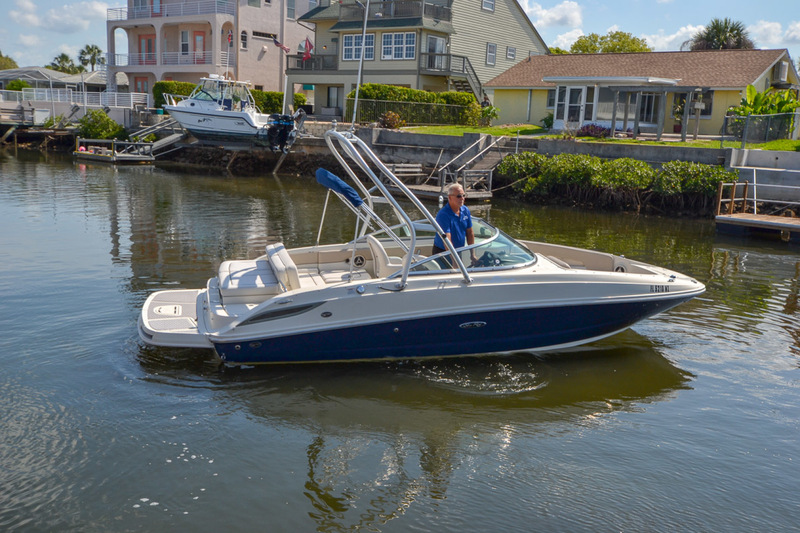 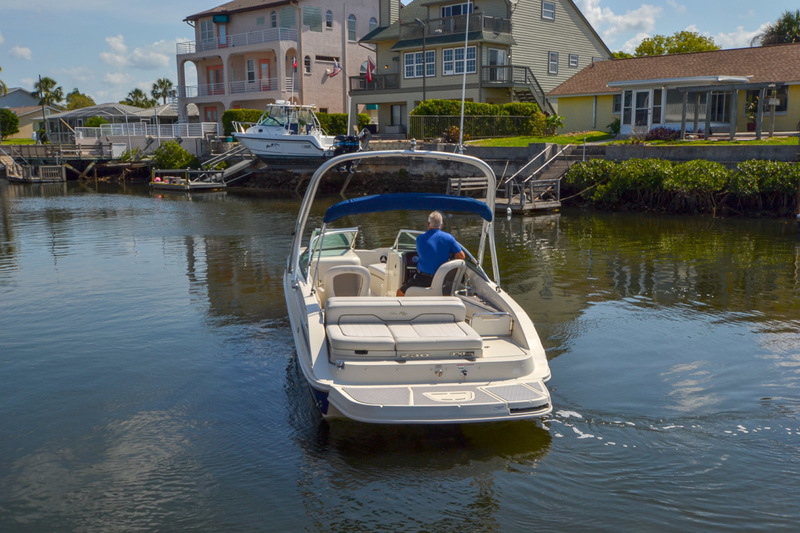 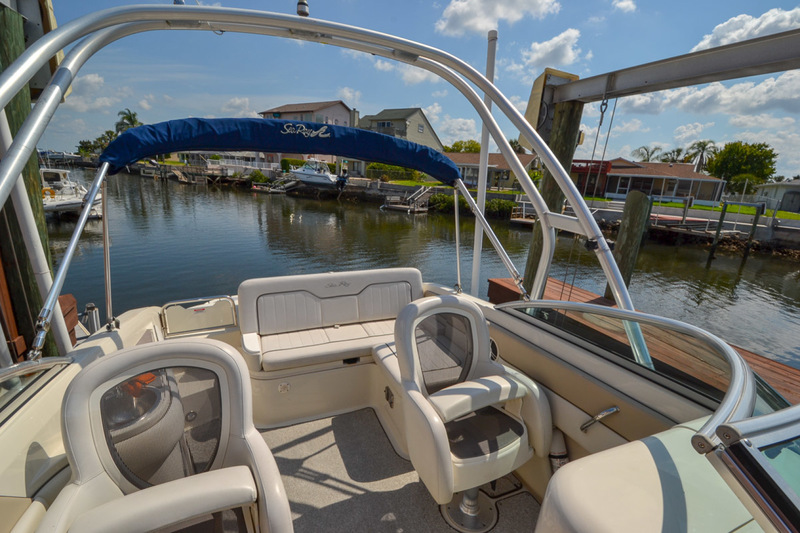 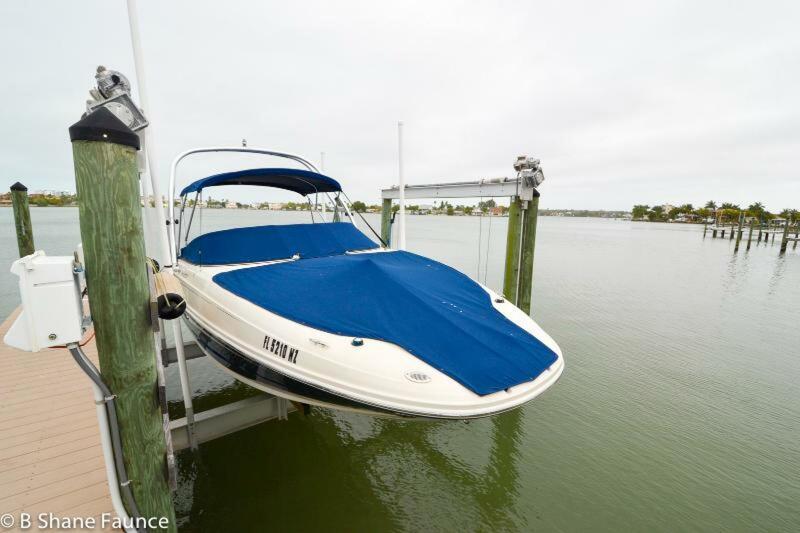 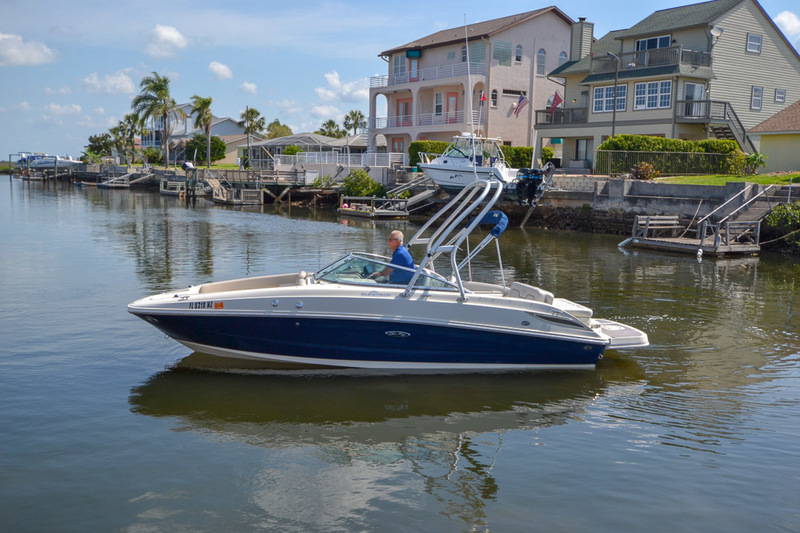 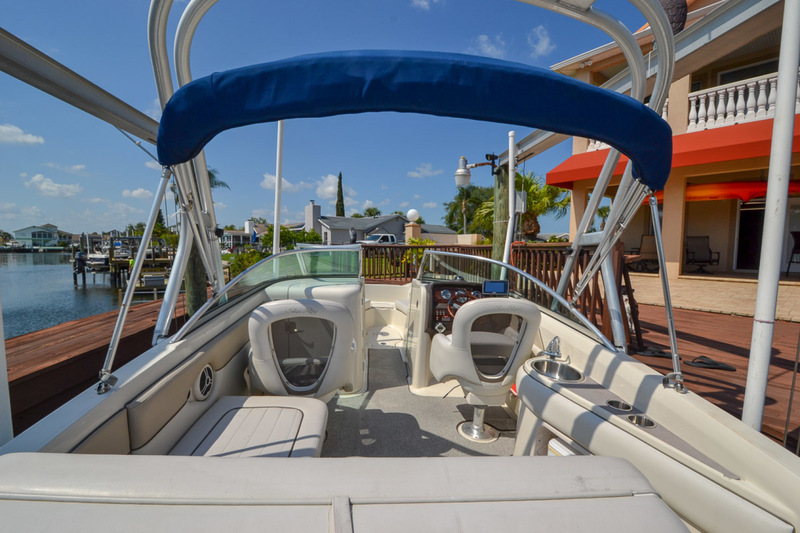 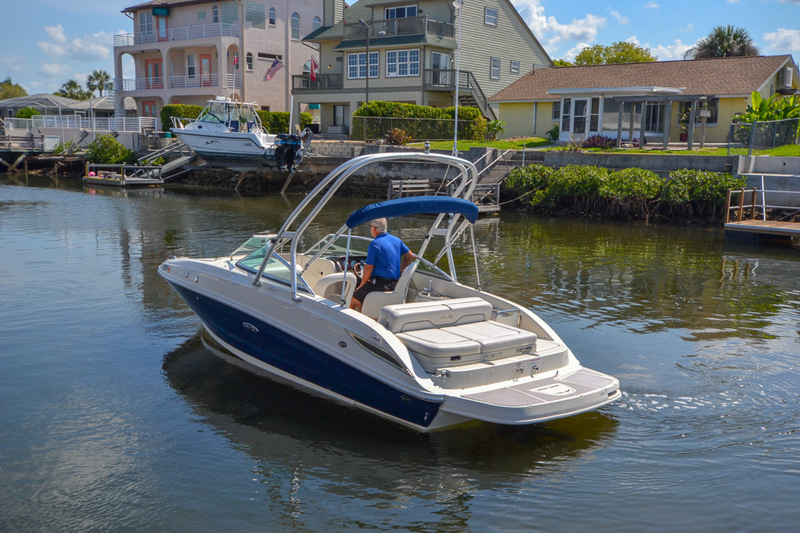 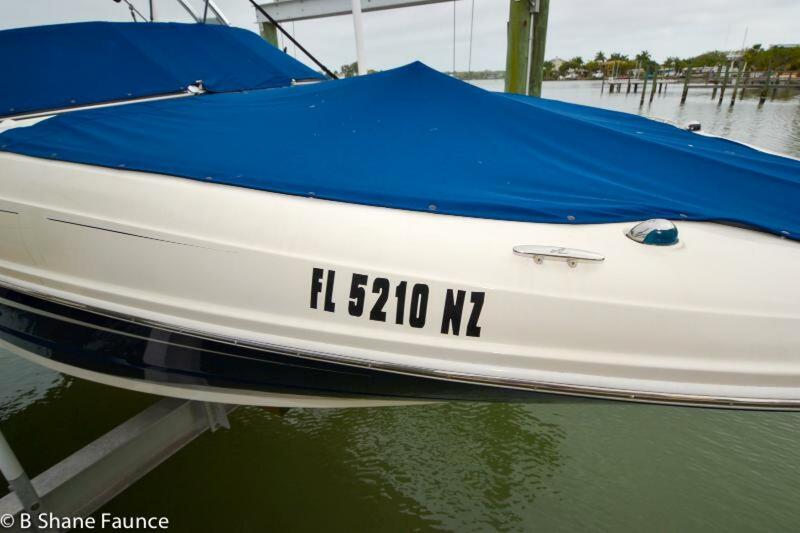 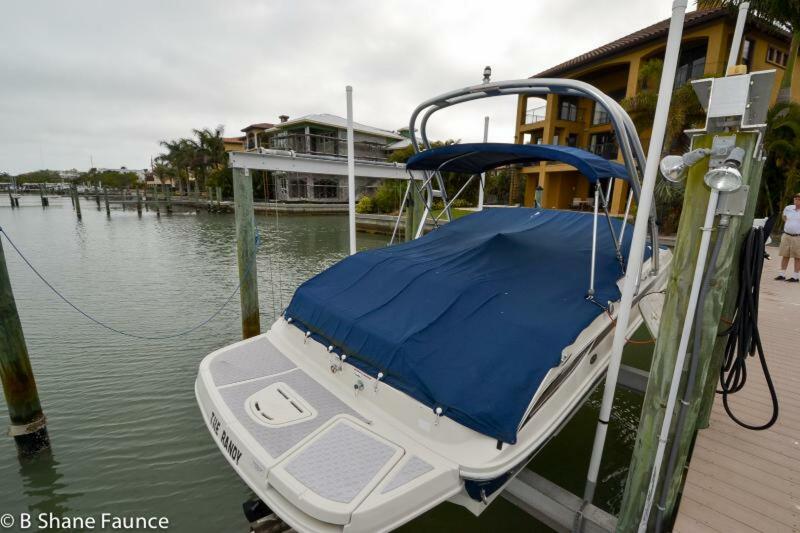 This 230 SunDeck is equipped with the upgraded 350 MAG and Water Sports Tower. 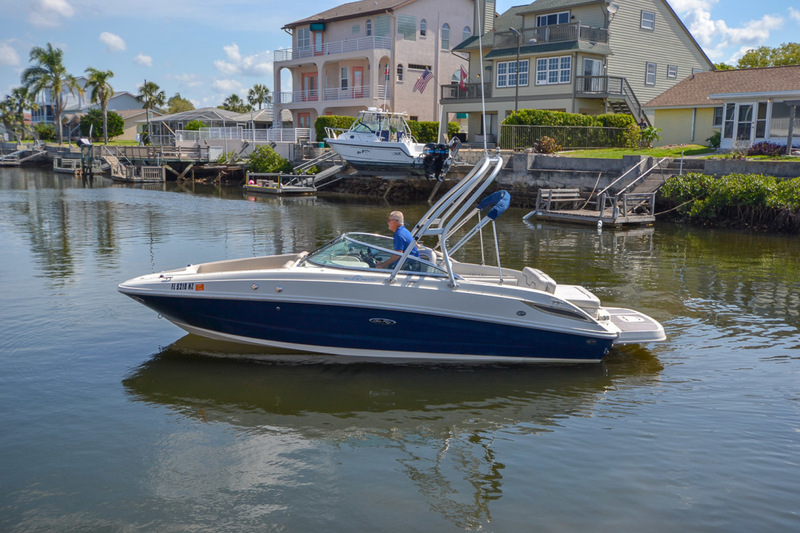 The Sea Ray 230 SunDeck has dominated the mid-range deck boat market for years. 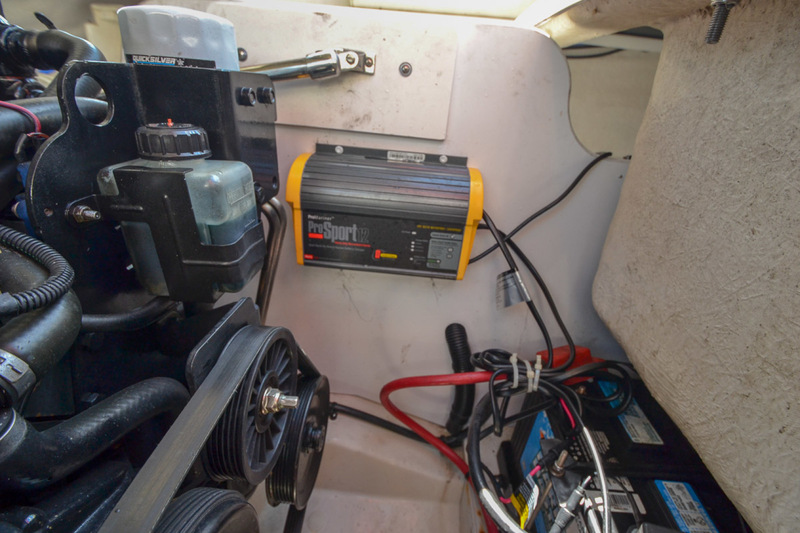 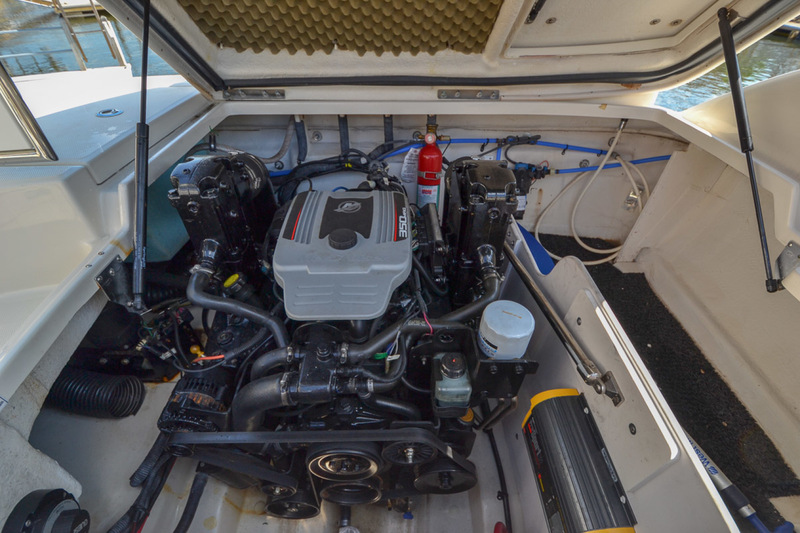 The single MerCruiser 5.7L 350 MAG (gas) with 300hp and BRAVO III sterndrive give you a fast and efficient cruise at 26.4 knots at 3500 RPM.